This fundraiser for local home brewer, Gary Burke is free and features 15 breweries and an awesome silent auction. Free appetizer buffet from 5:00-8:00 pm & the release of the 11th Anniversary beer TIZENEGY, an American-style Barley Wine. 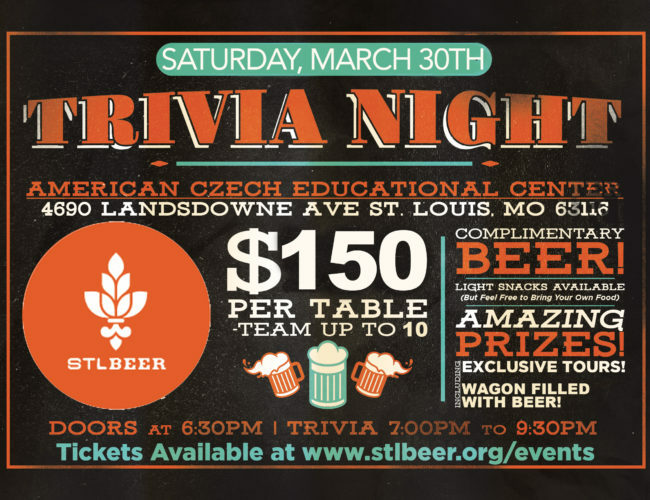 A unique opportunity to rub elbows with representatives from over 50 area breweries; this event will explore the year to come in STL beer.